Blog owners know the thrill that comes from hitting the “publish” button. Even after years of being at it, the thrill is still there. Well, who wouldn’t be thrilled? Certainly you would be after spending sleepless nights and tons of edit in order to create a masterpiece you wish to share with your audience. 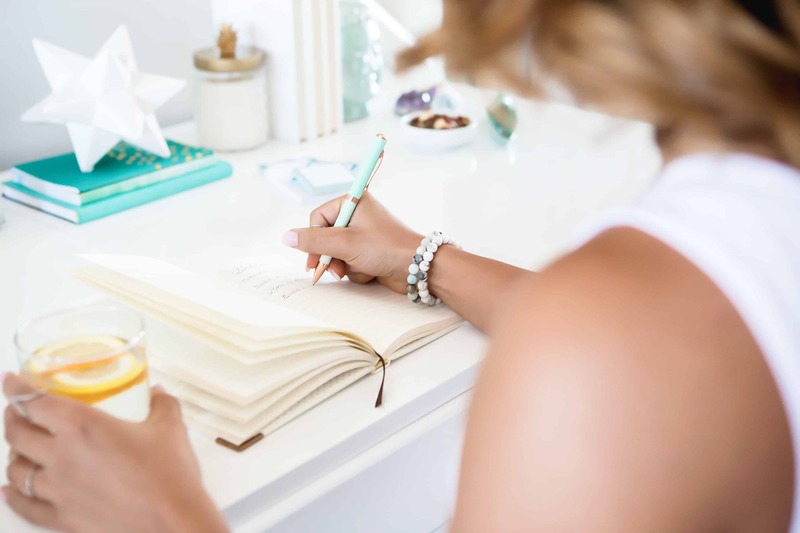 One thing that baffles me though is how blog owners spend all of their time on the content part of content marketing, and then totally forget about the marketing aspect. This involves blog promotion and post promotion, which they must fine tune to bring success to their blog. It’s not a superiority contest of whether creating content is more important than marketing. Spending equal time on both creating content and blog promotion will improve the odds of bringing your blog in front of the right people. No one lights a candle and puts it under a bushel. So also, no one spends time creating that perfect blog post with the perfect image and/or video only to have no one read it. 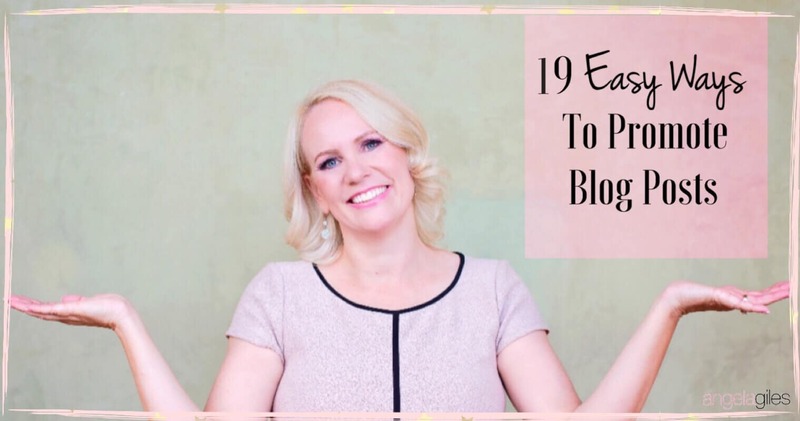 In this post I’ll examine nearly 20 easy ways you can promote your blog posts to help optimize your reach. Another style is commenting as an answer to a question the writer has raised. Your yardstick to measure if what you’re doing is right or wrong is to ask yourself if you’re adding any value to the ongoing conversation. Many times we use analogies when trying to illustrate a point in our blog posts. And there are times when these analogies are real life situations when we can reference a brand or a thought leader. Once your post is published, take a chance on blog promotion by sharing the post with those brands or thought leaders you have mentioned. Next time you write about a colleague, brand, website or even a competitor, send them a brief email. Let them know you have mentioned them in your latest blog post, and include a link to the actual post. Remember to give a brief introduction of yourself and your brand, and a brief summary of what the blog post is about. They may share your post with their followers even without you asking, but it doesn’t hurt to ask nicely if they would share. Gradually we are steadily shifting towards collaboration rather than competition. After all, together each achieves more in a team. So when you publish your new amazing blog post, do some blog promotion by reaching out to fellow bloggers. Just be sure the content is one that would interest their audience. Simply tell them about the new blog post, and that if they like it, you’d love for them to share with their audience. Be sure you’re open to doing the same. It’s rare to find anything that doesn’t have a Facebook group (or thousands) including for blogging. If you’re overwhelmed, consider asking your fellow blogging friends for suggestion on which to follow. To maintain decorum, most Facebook groups have a no blog promotion policy. However, there is usually one day a week set aside for one to promote blog posts. So stay alert and take advantage of blog promotion thread. Another way to promote blog posts is using it as an answer to a question. This is a smart move. Did someone ask about image resources and tools? You can just say one or two sentences and conclude with your link. That way you can drop your links without appearing spammy. To help make this guest post worth it, ideally choose blogs that have a much higher readership than yours. A blog with high popularity will bring you a lot of traffic from your byline. But even a blog with similar traffic to yours can bring a boost, provided it’s the right blog and a great match for your niche. Help A Reporter Out (HARO) is a platform where reporters and expert opinion sources can find each other. Bloggers and reporters use HARO to find thought leaders to quote for their articles. That means one can register as either a reporter or as a thought leader. If you get interviewed by a reporter for a piece that relates to your niche, you can always ask the reporter to link back to a specific blog post or your general website. This helps promote blog posts but also helps give you credibility by being interviewed. Few bloggers use LinkedIn for anything other than putting “Founder ThisIsMyBlog.com” on their headlines. Nevertheless, using LinkedIn for blog promotion is actually a wise option. Ariana Huffington does this with her posts. Daily natural interaction with contacts is also a way to promote your links. In addition, LinkedIn groups offer great exposure to promote blog posts. Find those that resonate with your niche, and then occasionally share relevant links with them. You can also drop your links as answers to questions just like on Facebook and sites like Quora. Isn’t that what you use your mailing list for? You help build a relationship with your audience through a periodic newsletter. While the content of your newsletter could be anything from an update on an ongoing project, highlights of an event or promoting a product, it can also promote blog posts. In fact, most content management systems (like WordPress) use a plugin that supports blog promotion. That means that once a post is published, it is immediately broadcast via a newsletter to your subscribed audience. Another option is to collate popular posts and share them with your subscribers at the end of each month. This way, loyal readers will be able to catch up on anything they might have missed. This can also help give you regular content for your newsletter. Those who belong to groups like Facebook groups or forums can use this option to promote blog posts. The way it usually works is that someone in the group (usually an administrator) asks everyone to drop links to a recent blog post of theirs that addresses a particular topic. Depending on the groups, these link roundups could be done weekly or monthly. 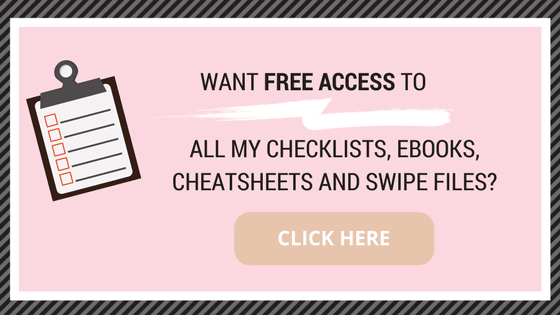 Get access to “Cheat Sheet: 19 Easy Ways To Promote Your Blog” by joining our Free Resource Library, just click below! Other than general blog promotion after a new blog is published, use Pinterest group boards and Tailwind Tribes to increase your reach. 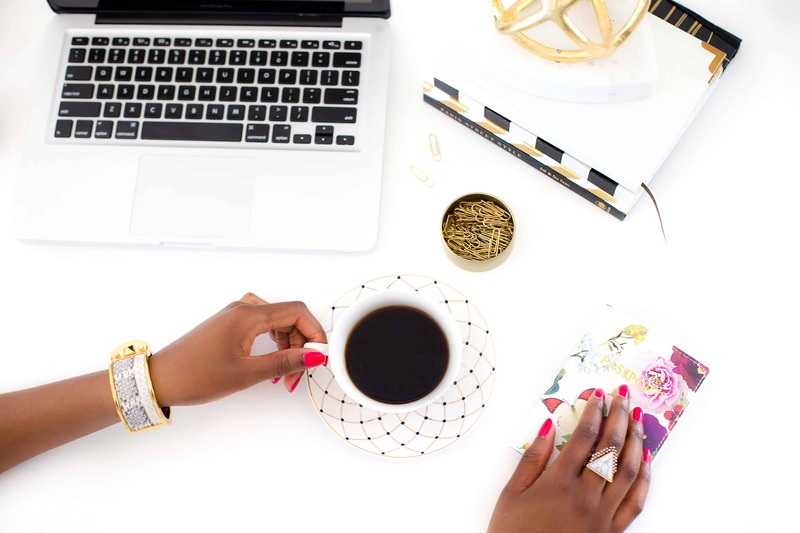 Search for and join these groups and tribes that interest you and align with your niche. After being accepted, be active on the groups, and share and pin relevant content. The same rules that apply to Facebook groups apply here as well. Of course, avoid spamming. This is one road that is less travelled. However, more and more people are getting on board the LinkedIn bandwagon because of its focus on professional profiles. Depending on your niche, converting your blog posts to slides and sharing on Slideshare could gain a lot of traffic for your blog. Rather than simply copying and pasting blog post text into a slide, minimize the words and use more graphics to convey your message. Of course, those interested in further information can always use your provided link back to your blog. This is a quick and easy way to promote blog posts or your blog in general. Quora is a great example of this. Just like group and forums, the same applies to Question and Answer sites. First find a question you’re knowledgeable about. Then answer the question with a sentence or two and send readers to your blog for detailed explanations. Some question and answer sites are specific to geographic locations and others are specific to subject. So be sure you’re aligning with the appropriate sites before giving your answers and dropping your link. 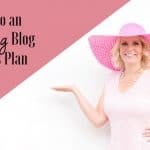 While this will generally promote blog posts rather than your entire blog site, use other blog promotion tools such as related posts to refer them to other posts once they arrive. This should help get readers interested in your site in general, especially as they see you have multiple articles related to what brought them to your site to begin with. As a hybrid between a search engine, content aggregator and social media, Reddit helps people group their discussions into subreddits. Get involved in general subreddits that relate to your niche. It’s helpful to join some smaller groups very specific to you niche, as well as ones with at least 10,000 users. Stay active, and again, don’t be spammy in your blog promotion. You can ask for help from friends and colleague to help you get some initial upvotes to help get the ball rolling. In this post, I’ve made reference to other posts that are related in topic that may be helpful. These are called related links and they help promote blog posts. There are plugins like Shareaholic, Link Within and others which help you handle this without stress. However, manually referring your readers to related content is a better option. Doing this helps in multiple ways. You make Google search bots love you more, you offer additional related helpful content, and you get readers to read old blog posts. This all helps remove any doubt from your readers’ mind about you being an expert in your niche. Before you roll your eyes at the obvious fact that ALL bloggers surely MUST be using social media to promote blog posts, you should be prepared for the contrary reality. A large number of bloggers do not use social media for blog promotion. Fortunately, technology advancements have made things easy and you can schedule instant blog promotions and go to sleep. And as a reminder, there are WordPress plugins that will automatically schedule your blog posts to go out on all of your social media channels immediately after you click publish. Meeting the needs of both the consumer and a contributor, Stumbleupon can help you discover new content and also share your own content. As an aggregation site, it collates contents that it thinks a user will find useful based on earlier selected interests. Just like any other content site, spamming will not bring anything good. So temper down the self-promotion and try to maintain a balance as a consumer and a contributor. There are several top blogs like Huffington Post and Business Insider that allow an already published blog to be republished on their site. This may be a great option for promoting blog posts that fit their criteria. Reach out to them, pitch your blog posts and watch your traffic skyrocket. Invite industry thought leaders, fellow bloggers and even your audience to a Twitter chat with focus on a particular niche. During the chat, you can refer participants to a blog post for more details. If you can’t start your own Twitter chat, you could join others and promote blog posts as an extra. Always ensure your contribution is adding value to the conversation and not just a way for you to dump your links. PLEASE SHARE YOUR THOUGHTS IN THE COMMENTS SECTION BELOW. WHAT ARE SOME OF YOUR FAVORITE WAYS TO PROMOTE YOUR BLOG AND YOUR POSTS? I just checked the article and this is just awesome. I never thought of Linked In groups! What a great idea!! 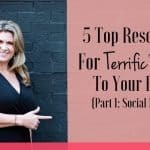 Love the tips and advice, I need to start thinking of guest posting next year and social media has always been a lifesaver for me. Thank you for sharing. This is such a fantastic list. I do a lot of these, but there are some that I need to start doing more often. These are all very useful ways to promote blog posts. I think that the number one way is using really good Facebook groups. I have been blogging for years, and only after I started using good Facebook groups did I see a significant increase. 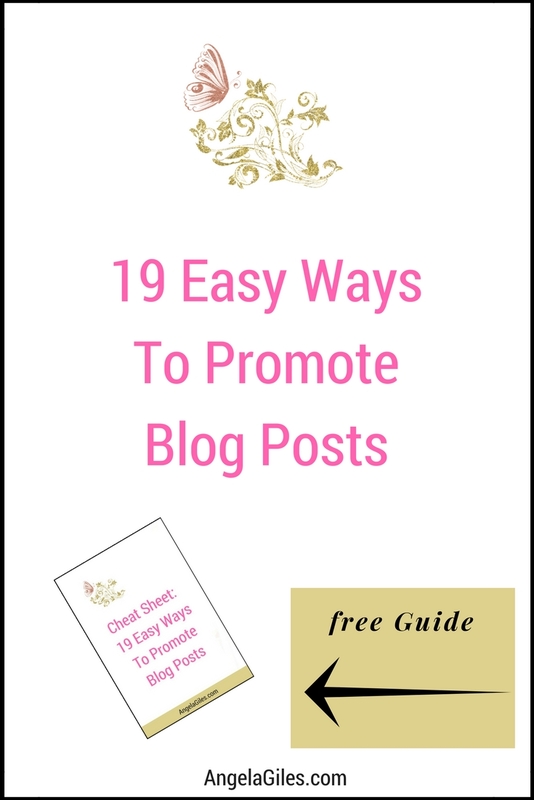 That’s a great post for blog post promotion! I am bookmarking it! These are great tips! I’ve always wondered about syndication. Does it hurt SEO rankings to have the exact same post published in multiple places? I’m going to bookmark this post because I found it very helpful. As a blogger for over two years, I found your tips very helpful because I did not know about some of them! Thank you so much! Wow what a great round-up! I need to start promoting my posts on LinkedIn, it never even crossed my mind! these are all great suggestions! we use social media and facebook group a lot as well as twitter chat! we need to work on our newsletter so much! Thank you so much for this – I just signed up to HARO. I would also highly recommend StumbleUpon – it’s one of the biggest sources of traffic to my blog at the moment. I have heard of some of these but the rest are totally new. I am most definitely bookmarking this for later. I need all the help I can get! I definitely need to work more on build my newsletter as I definitely find it difficult. I like using Facebook groups to promote my content too! This is a great list! I am currently focusing on social media, using Tailwind and dabbling in the Facebook groups. Facebook groups and group boards on Pinterest have helped grow my blog SO much! I have met so many new peeps that have become close friends and we all support and share each other’s content regularly. The related posts section on my blog also helps generate extra traffic and there’s no extra work! 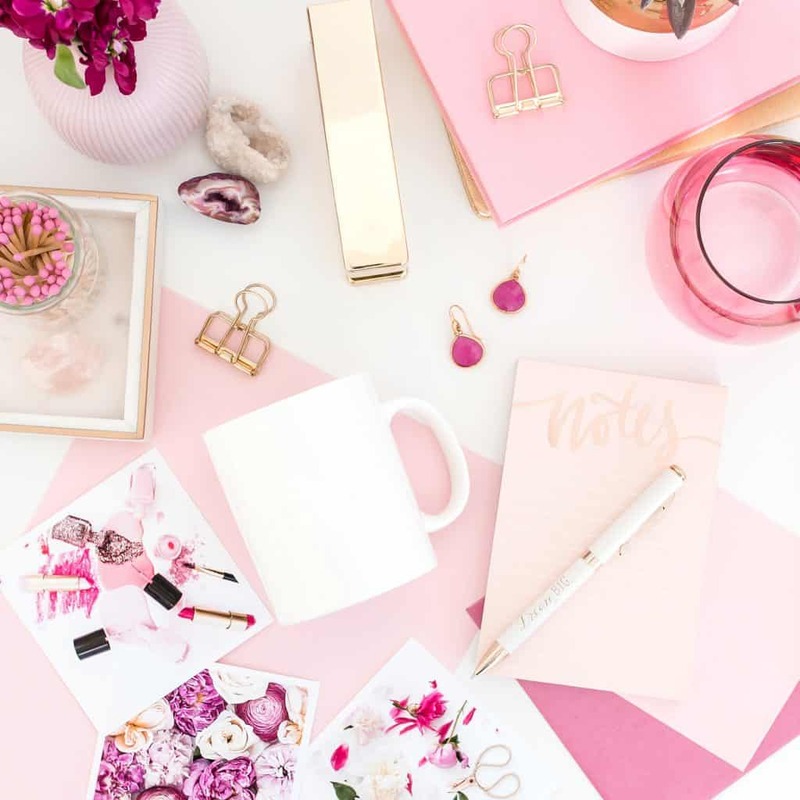 These are great tips for promoting your blog posts. I will have to share this with my friend. She is just starting out. Love this! It’s great informative tips for bloggers. I haven’t tried LinkedIn and Reddit. Would love to try it! Thanks for great tips! This is a very informative read. A lot of tips for newbie bloggers like me. Glad I got a chance to see your post. These are all amazing tips! I’ve used some of these in the past and they worked very well. My next goal is to try to do more guest post swaps. Thank you for all of these great tips! I absolutely love my blogging Facebook groups! Great options for getting your content out there!!! I have been thinking about how to promote my blog. I am part of facebook groups but I am still not able to get the constant flow I would like. Your post has come just in time and I am saving it to work on. Thank you. These are great ideas. I personally use Facebook groups a lot! Facebook is handy sometimes. I keep forgetting about Q&A sites! These are some seriously awesome tips! I feel like doing some promoting tonight! Number 17 sounds scary! But at the same time, they sound like great platforms. I’ll give them a try! I love these tips and I find I do many of these myself but I learned some new ones today! Thank you! These are great tips for promoting! I just started blogging 2 months ago and have been looking for ways to get my blog out there. So far my traffic has been from blogging Facebook groups. I have some Pins and post to my SM accounts. I started an account on Quora, but have not done much with it. I look forward to trying a lot of these tips. Pin it! Thank you! Wow! So many great ideas! I’ve been getting overwhelmed with posting in social media so I love the idea of a plug in that will automatically promote my posts. Thank you! Some great ways to promote. Some I knew about and some I didn’t. I kind of struggle with promoting my stuff across all outlets so I would love to get better at it!! Thanks for these. I’m realizing more and more that if I want great engagement, I have to be more active in promoting my content rather than just writing! This is hard for me because I would rather just write. But social media can be such an engaging community! I never even thought to reach out to brand and thought leaders when I mention them. I will have to start doing this! I do a lot of these already, but I should probably participate in link-ups more often. I hadn’t thought about that and never really looked into it. Thank you! These are some awesome ideas, I think it is always worth having new ways at hand to promote posts to a bigger audience. thanks for sharing up so many great places to promote our blog. You have cleared up some questions I had as well. This is a great list! A few of these I never would have thought of on my own so I will definitely be trying them out. I love Tailwind tribes. I think that is definitely the best addition I made to my promotions in 2017. These are great tips! There’s always something new to learn when it comes to blogging. I’ve heard many great things about Huffington post. Maybe it’s time I start to pitch my post when opportunity arise.Thanks for sharing! Some of these are really good ideas. I think groups are a good idea! these are great and I am surprised to only be using a few. I will have to check out the other options to grow my exposure. It’s always interesting seeing different people’s thoughts on blogging related topics. There are so many ways to promote posts online, each person needs to do what works best for them. Some of these can work well. I am going to pin this post. Helpful and informative post. Great suggestions! I feel my content gets decent traffic, but there is always room for improvement. I look forward to implementing a few of these ideas. There are so many new ways that I just found out via this post. I never thought of Reddit as a place to promote blog posts!! Will surely keep that in mind. This is really a helpful post; thank you. I would like to start using Quora, as I’ve heard that it’s a good place that may bring my blog some traffic. Pinning article!! I’m linking you to my blog you have a great presence and really know your stuff. Thank you Johnna Floyd – you are the best! I love the slideshare idea! That’s one I’ve never even thought about before. I’ll have to look more into that. Thanks for the ideas!